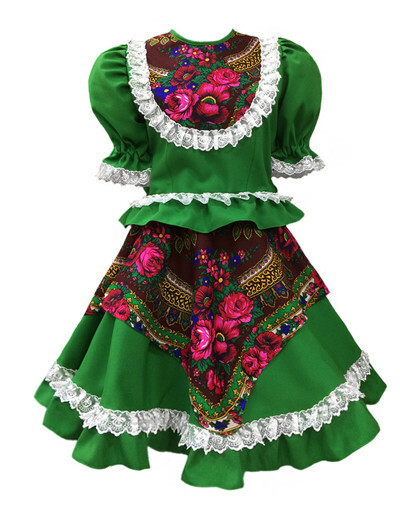 The Russian dance costume consists of a kokoshnik headpiece, a blouse and a circle skirt. 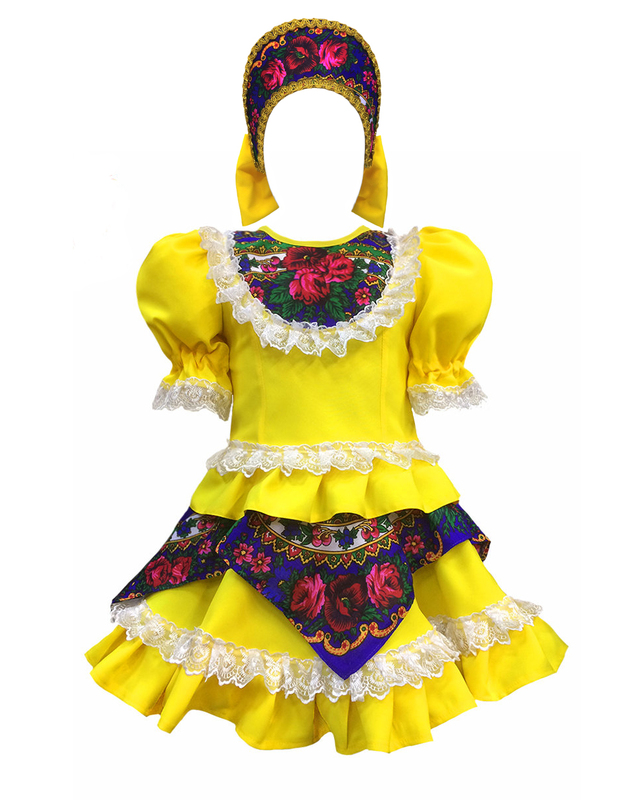 The costume goes perfect not only for Russian dancing thanks to a short, knee length and an expressive circle skirt. 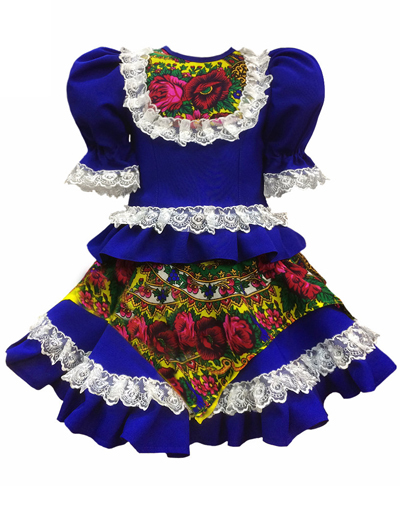 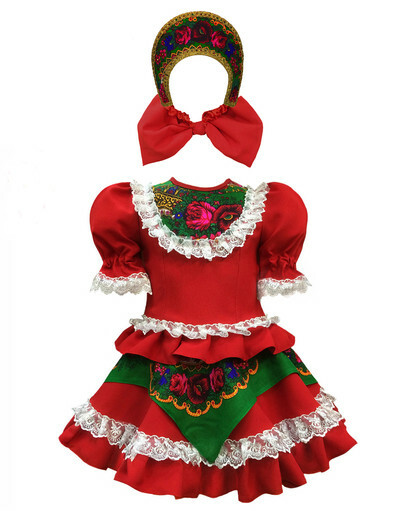 Such Russian dresses can be designed for small girls, bigger sizes as well per individual request. The adult version can be found here.